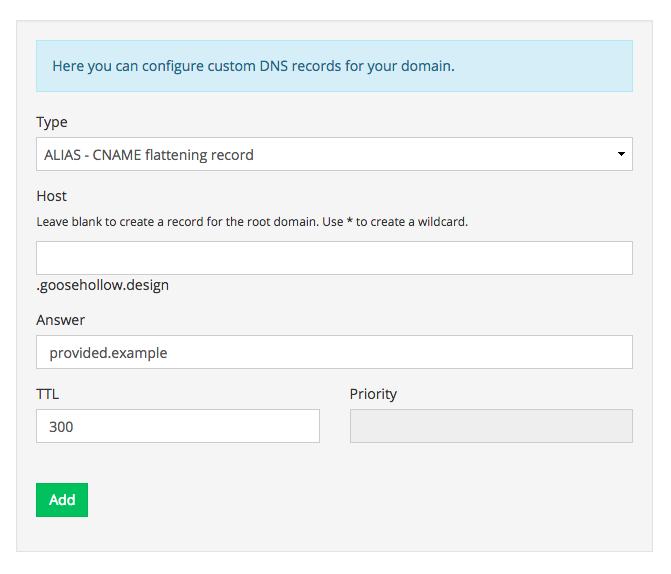 Add an "ALIAS - CNAME flattening record," leaving the "Host" field blank. You will want to consult with Herokuapp to find out which CNAME record they will want you to use for the "Answer" section. This article from the Heroku Dev Center has more information. 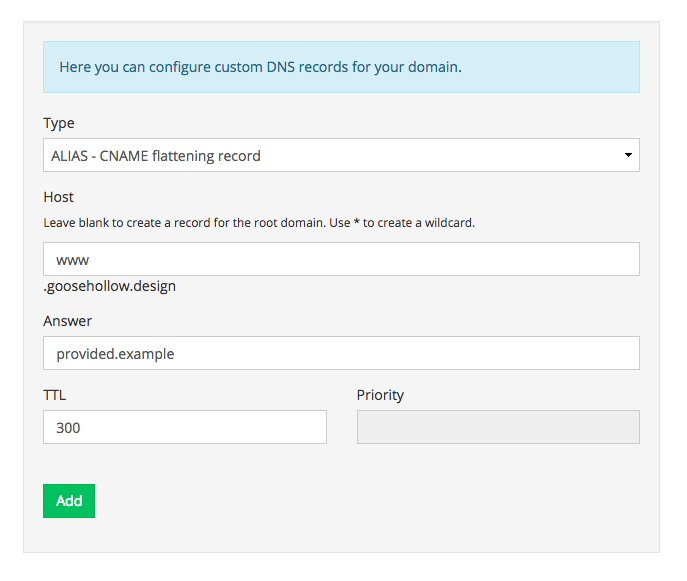 We'll also want to add a CNAME record. The Host field should have "www" entered, and the answer should be the same provided host name as step 3. Herokuapp offers a service called "Fixie", which allows you to route your outbound requests through a static IP address. 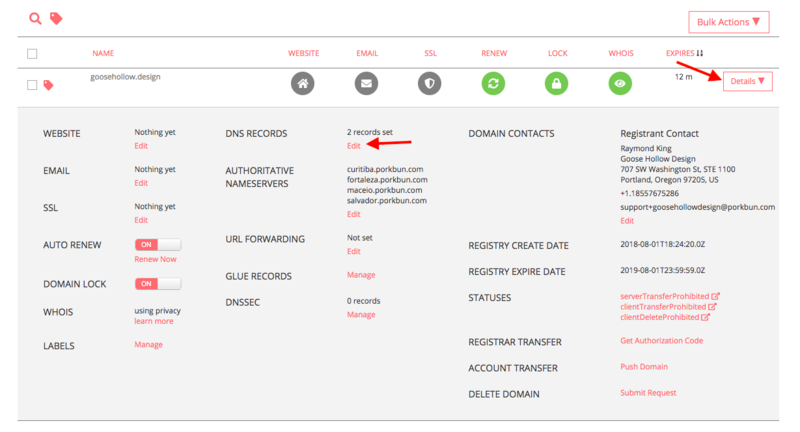 For instructions on how to connect your domain with this option, see this article for help.